Your students will remember avoir expressions forever with this song! 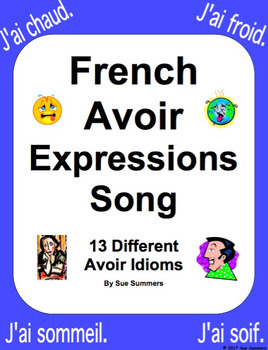 This original French song, which is sung to the tune of a popular children's song, features 13 avoir expressions in the first person, with accompanying actions. Students of all ages will love to sing this and will do so often because of the catchy tune and dramatic actions. 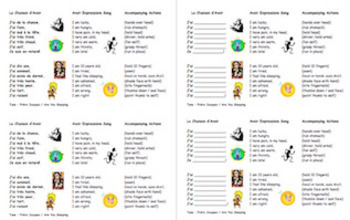 Please click here to see more of my French avoir expressions materials. •	Look for the green star next to my picture and click it to become a follower. You will now receive email updates about this store.